The Bank of Japan Governor’s speech stopped Yen from growing therefore Yen would not have a good chance to win over the strong USD. It seems that bulls are getting the control of the chart. USDJPY is moving in higher ranges climbing the ascendant channel and the rebound from 107.607 still continues pushing the price upward. Support is staying at 109.49 and the resistance at 109.810 both are below the monthly pivot point at 112.590. The MACD indicator is in neutral zone showing the price correction and the RSI is above the 50 level signaling the price growth. The EMA of 50 is located above the EMA of 10. 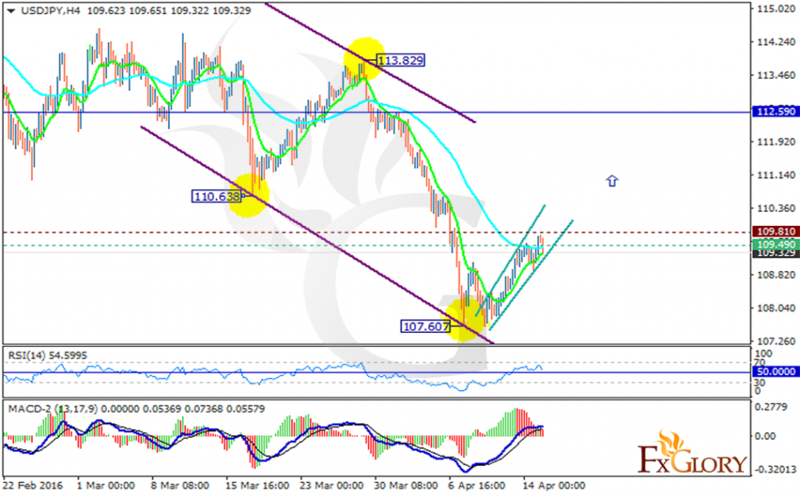 At the moment long positions are recommended with the target at 109.95 otherwise if the price crosses 109.00 level then further decline will be expected to 108.45.